Tasting Note the 2011 Baby Bush Mourvedre is scented of ripe blackberries and plums with underlying suggestions of loam, tar, black pepper and chargrilled meat. 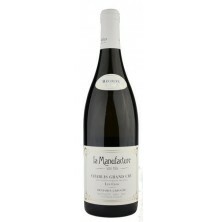 Medium-bodied, it gives a good amount of muscular fruit framed by crisp acid and a medium level of chewy, slightly astringent tannins, f..
Tasting Note light yellow-green colour, with aromas of citrus, green lemon and lemon, light-bodied and crisp Winery Info Red five star winery. 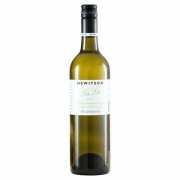 Hewitson was founded in 1998 by winemaker Dean Hewitson's driving passion to produce uniquely expressive wines from the great vineyards of South..
2011 LuLu Sauvignon Blanc is a beauty showcasing the vibrancy of this variety with our single vineyard expression and racy acidity. Red five star winery. Hewitson was founded in 1998 by winemaker Dean Hewitson's driving passion to produce uniquely expressive wines from the great vineyards of Sout..
Tasting Note bright colour with a little pruple, it has matured strawberry flavours,light bodied,richness and round. This wine is named after Dean Hewitson's daughter,her nickname of Harriet Hewitson. Winery Info Red five star winery. 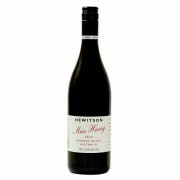 Hewitson was founded in 1998 by winemaker Dean H..
Tasting Note Clear, bright crimson-purple; can only be described as a success for the vintage, the red berry fruit flavours bright and fresh; only light- to medium-bodied, and prudence would suggest early consumption for maximum enjoyment.Named after his two sons. Winery Info Red fi..
Tasting Note This wine is intensely scented of warm mulberries and black cherries with underlying cigar box, allspice, vanilla and potpourri suggestions. Full-bodied and voluptuously fruited in the mouth, it explodes with blackberry, baking spice and earth flavors, has medium levels of grainy tan..